Let’s look at the four-hour chart. Tenkan-sen and Kijun-sen lines have almost merged under the cloud, indicating a new wave of the downward movement. Chinkou Span has crossed the price chart from above; current cloud is descending. 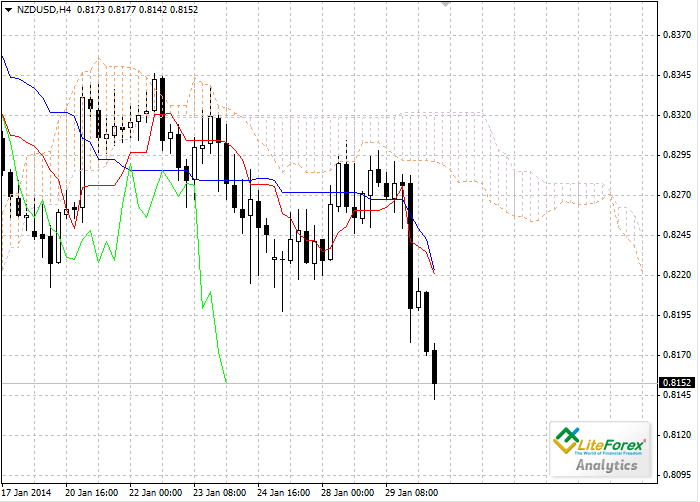 The closest resistance level is Tenkan-sen line (0.8220). One of the previous minimums of Chinkou Span line is expected to be a support level (0.8135). 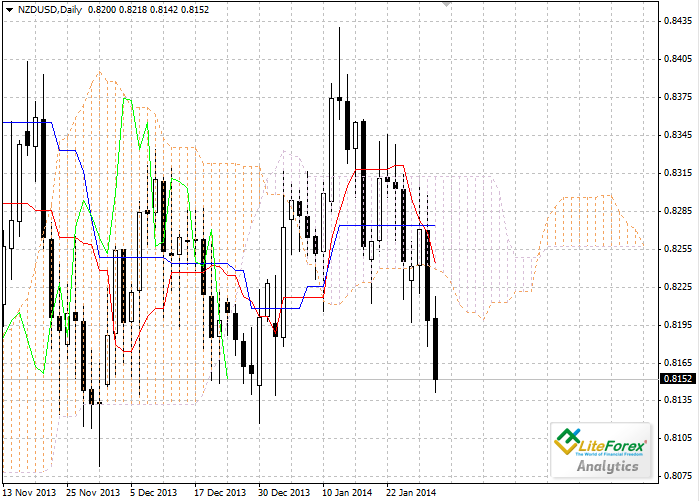 On the daily chart Tenkan-sen line has crossed Kijun-sen from above within the cloud. Chinkou Span line has crossed the price chart from above; current cloud is going to reverse from ascending to descending. The pair has broken down the cloud and is still falling. Senkou Span A line becomes a resistance level (0.8239). One of the previous minimums of Chinkou Span line is expected to be a support level (0.8135). Bearish trend is getting stronger on the both timeframes. The targets for the short positions are at 0.8135.